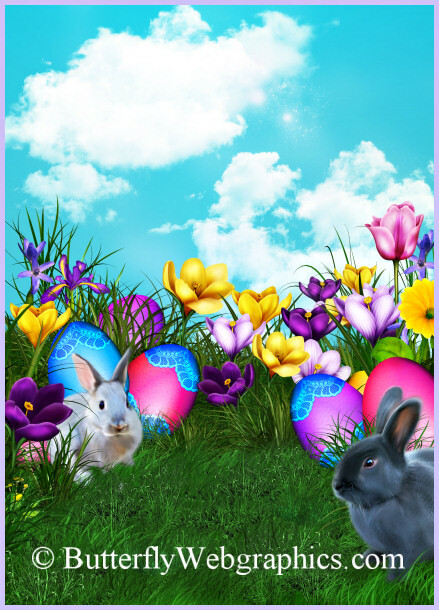 The Easter scenes above have been greatly reduced. Not all are shown. 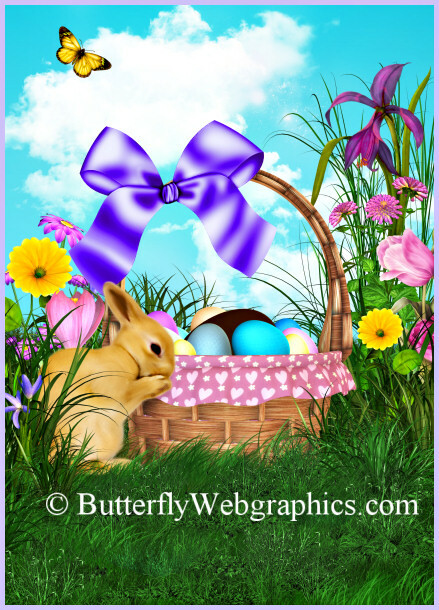 Create your own Easter scene with these Easter baskets and backgrounds. 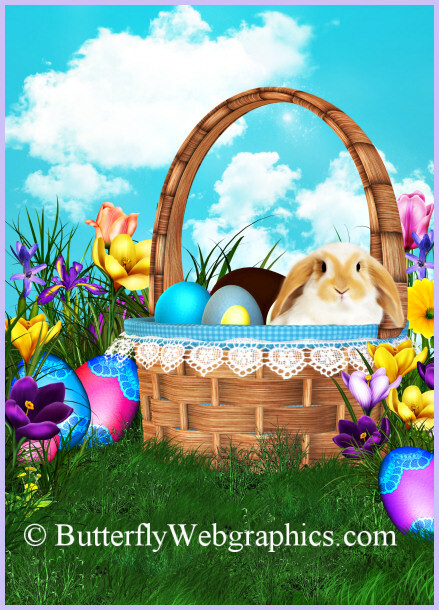 Easter will be here before we know it, and this festive package will help you get started on your springtime designs. It contains 6 large backgrounds that you can use as is or add elements or characters of your choice (a fairy would be a wonderful addition). 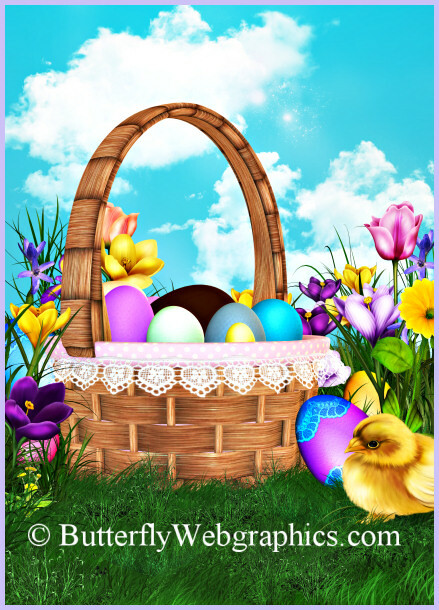 I’ve also included several renders of the baskets, some Easter eggs, and the background tile seen on this page. 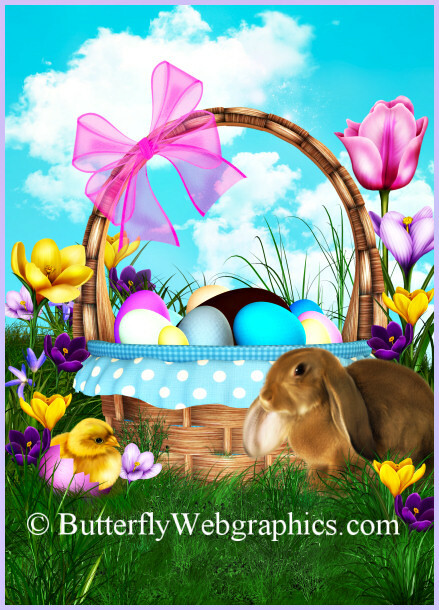 I’d included a couple of these baskets in my Easter Baby package, but these have different colored eggs and are larger. 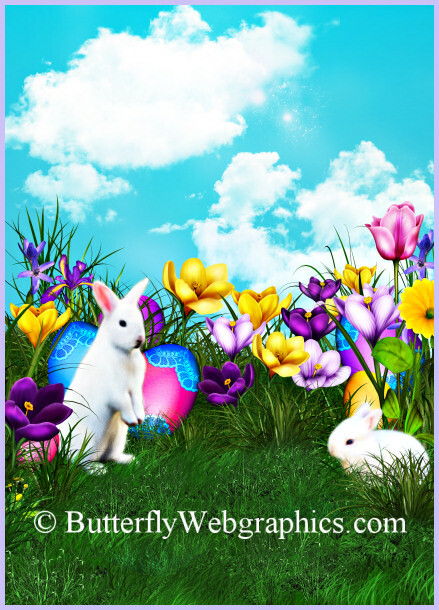 The size of these images varies, but the backgrounds are 2000 X 2800 pixels. All are 300 DPI, making them great for print projects. Members can use the tubes for personal or commercial projects, including web design, template design, candy wrappers, scrap booking, etc. This package has been divided into two zip files which are approximately 42-50 MB each.